It is possible to add a channel even if it's not listed in Tokeet. In fact, you are able to add any channel with a calendar--as long as it allows for exporting or importing iCal URLs. Please follow the directions below to create an Unknown channel connection in Tokeet. Tokeet offers two way availability synchronization with any channel, as long as it supports iCal export and i,port. 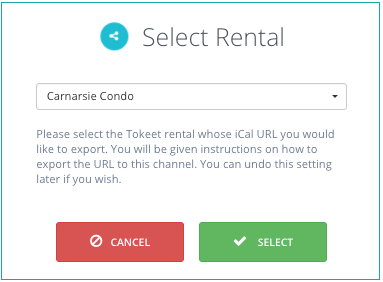 This allows your availability information in Tokeet to be reflected in this channel and the channel availability to be reflected in Tokeet. First you will want to export your Tokeet iCAL url. The next step is to take the Tokeet iCAL url that you copied and paste it in your channels "import" calendar. 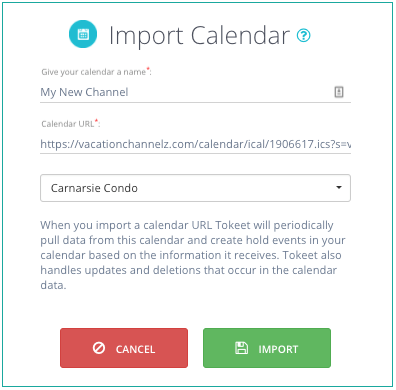 In your same channels calendar there will be an export iCAL url for that site which you will copy to paste into Tokeet. Calendar URL: paste your iCal URL that you copied from your channel, here. 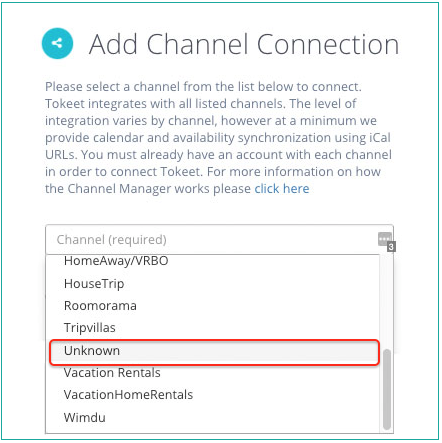 This allows your availability information in Tokeet to be reflected in this channel and the channel availability to be reflected in Tokeet. 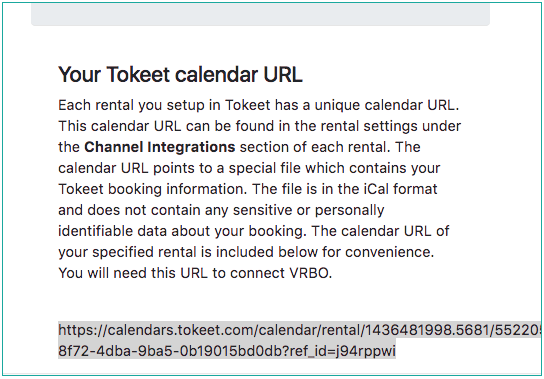 *** important *** all of your reservation from your iCAL channel will be imported into your Tokeet calendar as HOLD EVENTS which you will then need to click on, then Edit and Convert to a confirmed booking.